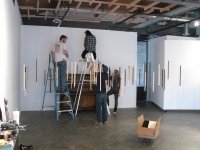 An Experiment in Space and Sound is an interactive installation piece which is designed to inspire interaction with others in a care free and playful environment. 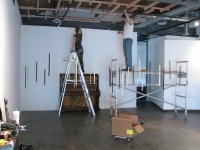 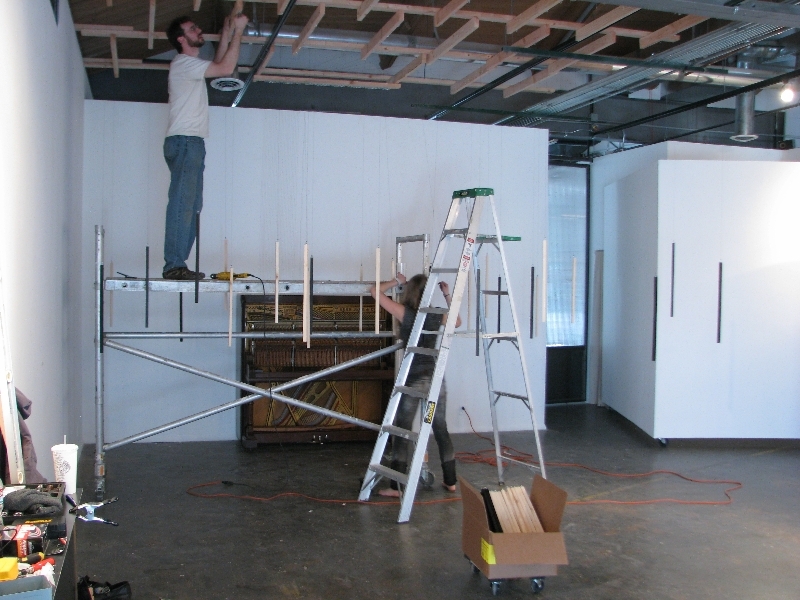 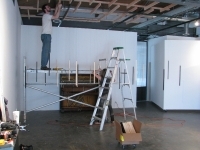 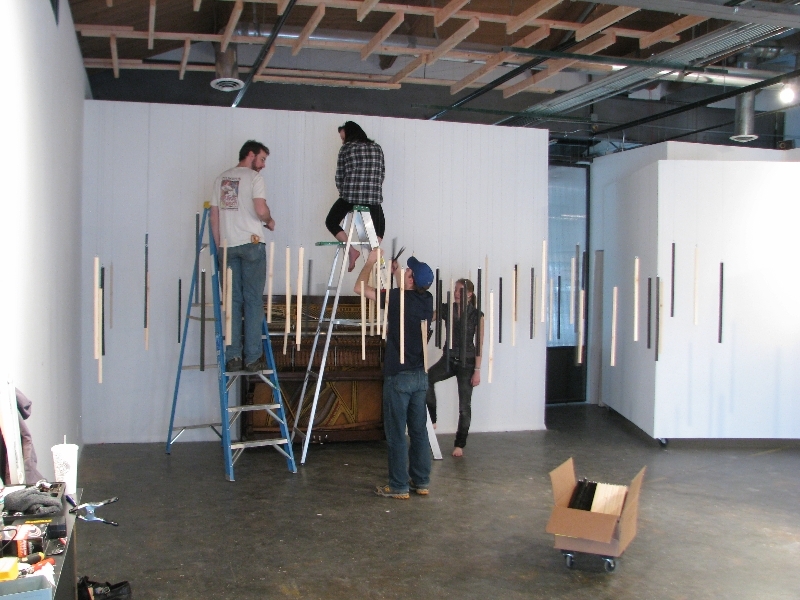 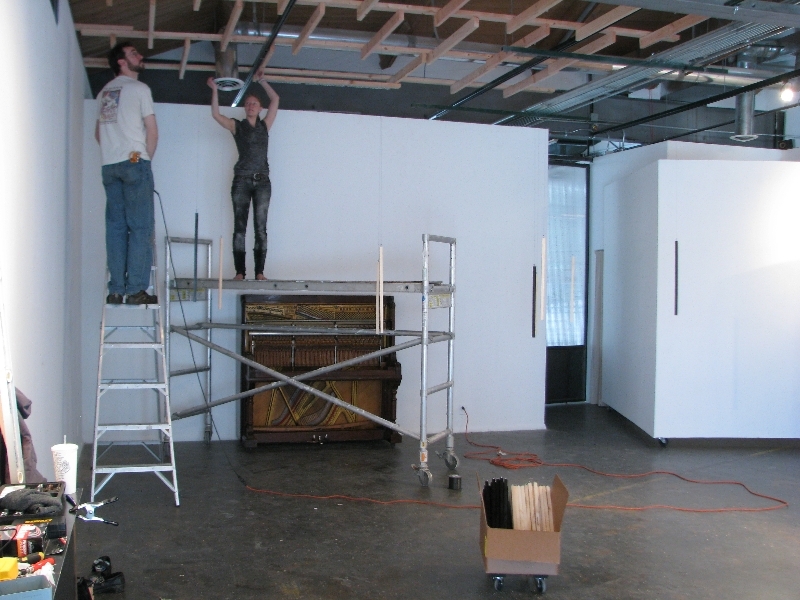 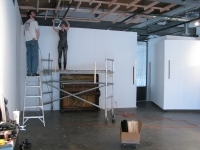 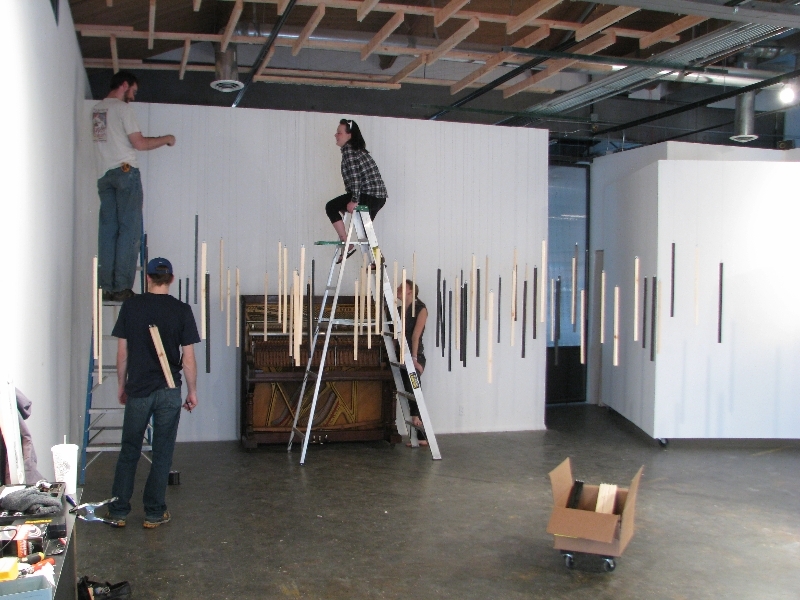 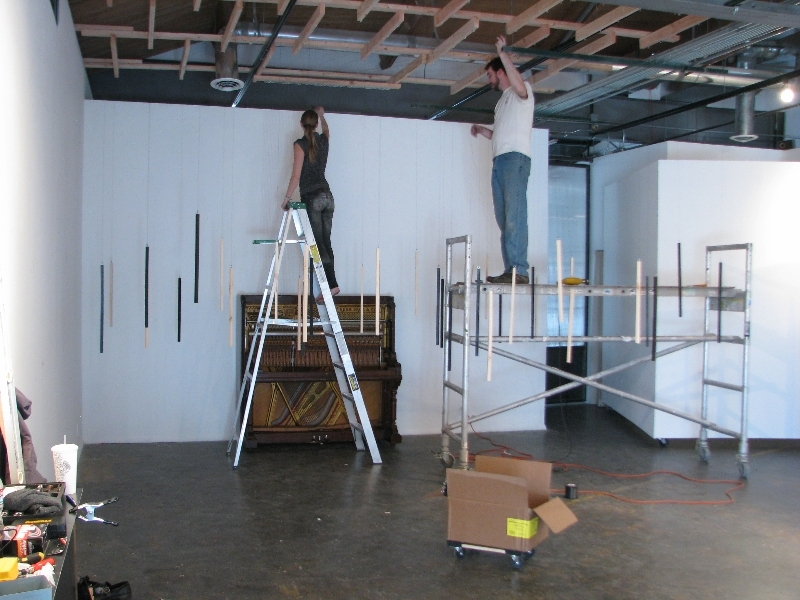 The primary component in the work is a partially dismantled upright piano of which the keyboard is expanded to the size of a room through a system of hanging wooden rods that interact directly with the piano’s hammers. 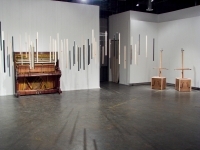 These wooden “keys” are placed randomly throughout the area with the only clue to their tonal nature being that they are painted or stained either white or black to correspond with their place on the missing original keyboard. 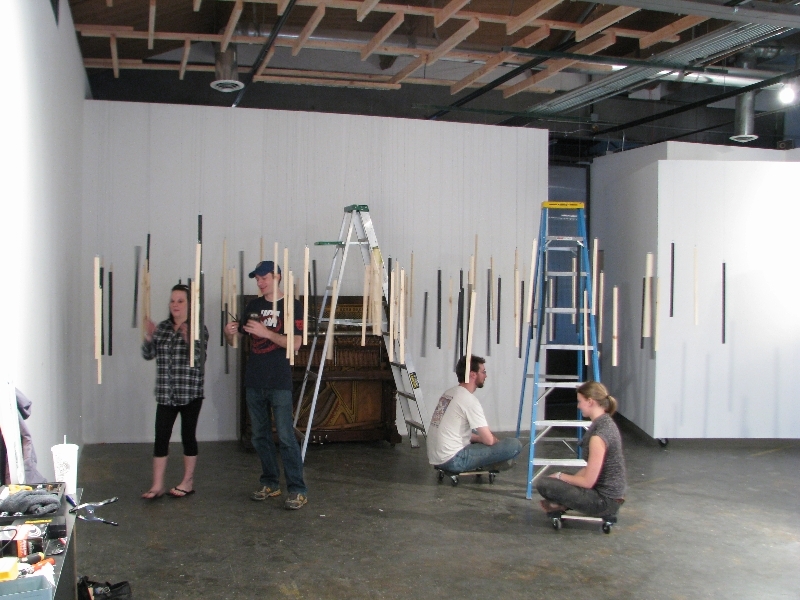 The audience moves through this field of keys, pulling them to cause the hammer to strike. This work has been installed in the Teaching Gallery in the Arts Building at the University of Colorado Denver, downtown campus; in the Chapel of Art at the Smokebrush Foundation for the Arts in Colorado Springs, CO; and at Core New Art Space in downtown Denver, CO. 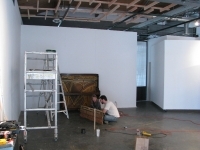 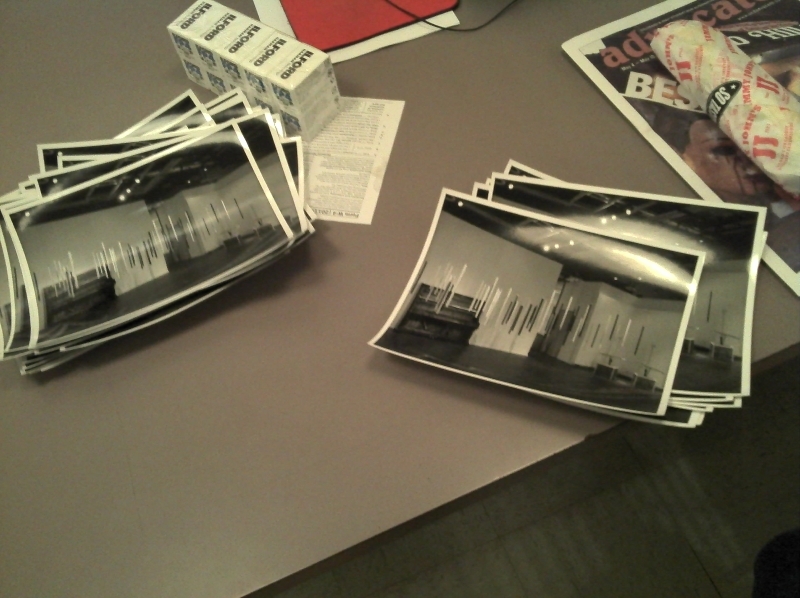 The most recent rendition was in March, 2011 at Core New Art Space in downtown Denver, CO. 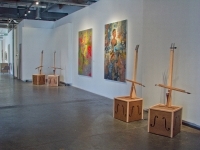 The piece was augmented with a new sculpture in four parts that I call Auto Cellos. 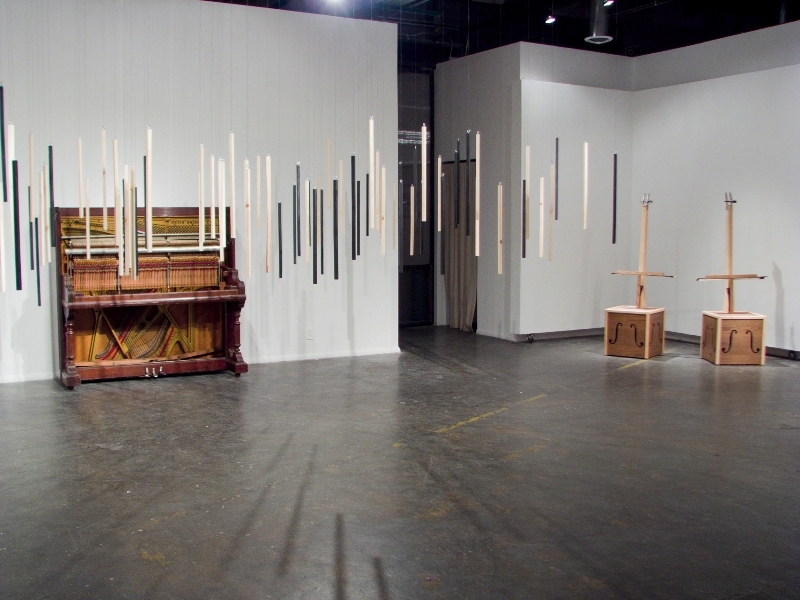 These instruments all contained one cello string each and were self playing. 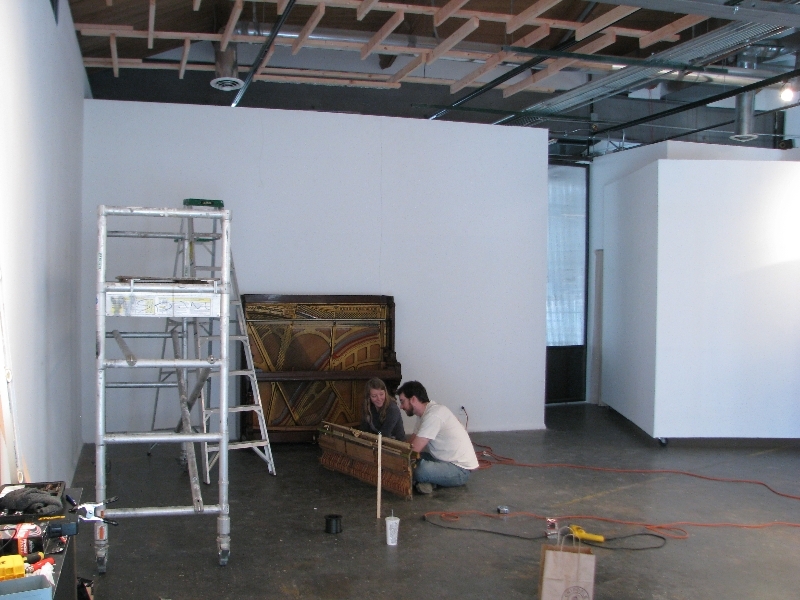 The string was always played open, however the bowing behavior of the machines changed in relation to how close the nearest person was standing to them. Due to the addition of these Auto Cellos, the show was called, An Experiment in Space and Sound: Duet. 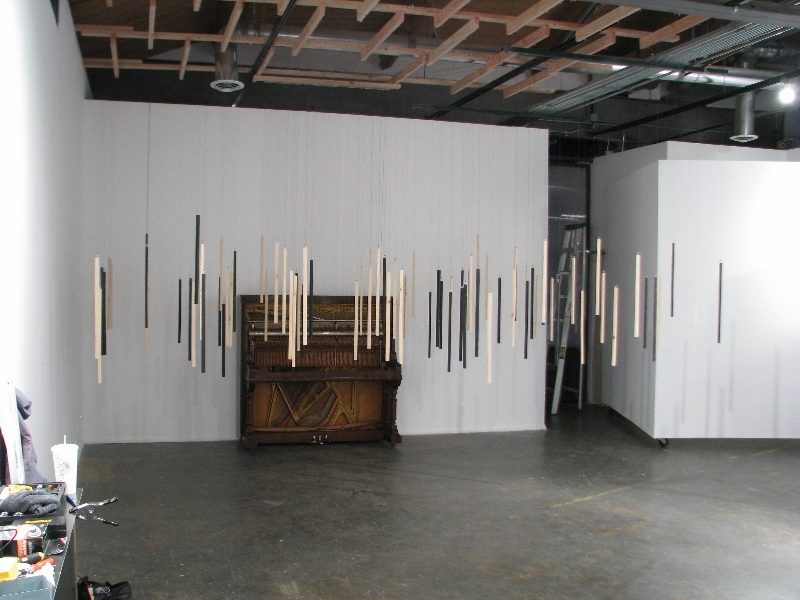 I was interviewed on The Untitled Art Show, an internet radio show about the arts in Denver, you can listen here. 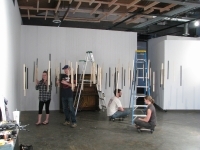 The show was also featured in the Denver Westword’s blog as seen here. 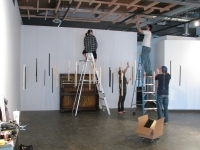 The following images are scenes from the design and construction process of this installation. 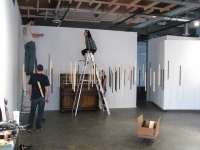 A previous incarnation of this work was featured in the Colorado Springs Independent as seen here, and enjoyed a short feature on Fox 21 News in Colorado Springs as seen below.